Whether you need a short term or longer term solution to accommodate workers and staff there is a transportable building to satisfy your requirements. 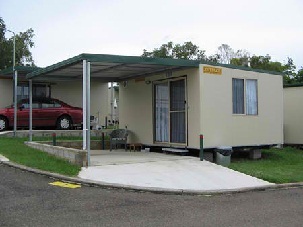 It does not matter where you are located as PANELFAB buildings easily installed, entirely transportable buildings are sold, hired, and delivered in QLD, NSW & NT. 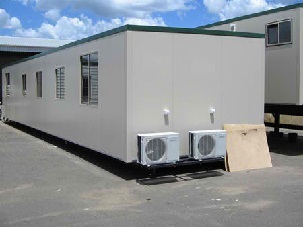 The extensive range of building units are transported then bolted together on site coupling the economics of demountable buildings with flexibility of layout and speed of installation. PANELFAB offers an extensive range of temporary and semi-permanent portable ablution blocks. 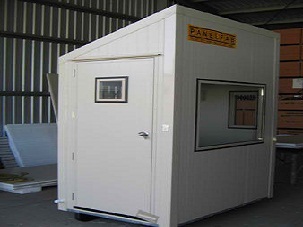 PANELFAB offers an extensive range of temporary and semi-permanent bunkhouse accommodation that can be readily transported and delivered to any site. 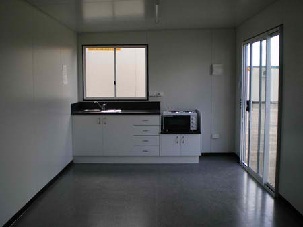 Portable site cabins are an affordable, aesthetically pleasing, high quality, and efficient solution to your accommodation needs. PANELFAB have a varied range of portable lunch rooms and portable first aid rooms to suit any requirement. 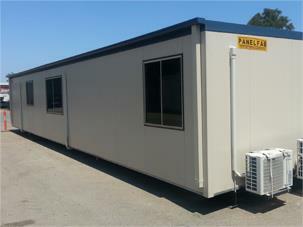 PANELFAB temporary site accommodation is perfect for mining camps and remote areas. 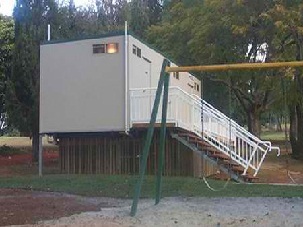 Portable storage buildings have a multitude of uses; they are used as archive storage solutions for companies. Sleepouts are used for a multitude of reasons, by real estate agents to increase property size and rental income.